Home » Post tagged "Flow"
This is something that came to me intuitively this morning that I thought I would share with you…. When you find what you love, whether it be a person, a goal, a dream, don’t think twice about it… embrace it, imbue your energy with it. Mesh your existence with it…. Too often people complain that Law of Attraction doesn’t work or that they are not able to manifest what they want. When I ask them some questions it quickly becomes apparent that they are wanting something that they are not energetically lined up to. When you think about what you are wanting, are you describing it as “over there” whilst wanting it and not thinking of it as “over here”? There is an implication in your definition of it that it is not here and it is “over there”; this is reflected energetically which perpetuates the gap between you and what you want. When you are in your flow, in your groove, in ‘alignment’, you don’t think of it as being “over there”. There is no sense of gap and oftentimes you are so in your groove there is only a sense of here and now – you are the centre point of the Universe from your perspective. 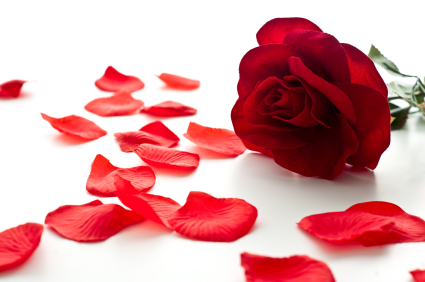 Think about the time when you totally loved someone. Whether they were in your life at that moment or not, think about that time when you had a whole-body experience in feeling the emotions and so much love and appreciation for this person. Notice how you are so full of emotion that it was timeless and space less – there is only the here and the now. The ‘gap’ of something being “over there” often appears when someone isn’t fully happy about what is “over here”. They are not fully at peace with the way things are or how their present is. Make peace with the present. This is a way of closing the gap energetically. When you are truly in your flow and BEING from where you want to be, energetically, paradoxically you actually aren’t thinking about your goal (not from a ‘lackful’ perspective anyway), you are too busy enjoying your present. You will know this from your own experiences. It almost like when you don’t ‘care’ about the outcome (it’s not that you don’t care, you do value it, it’s actually that you have less anxiety and negative emotions – ‘heaviness’ – connected to it, it feels lighter), you are too busy living your now, and ironically you are the most attractive to what you want at that point anyway. What experiences do you have with this? What examples do you have on when you have ‘let go’ and found yourself very attractive to the things that you have been wanting? 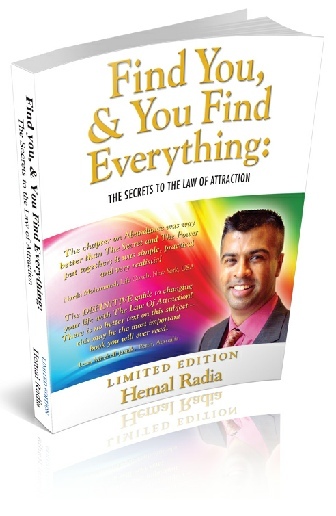 Hemal Radia is the author of “Find You & You Find Everything: The Secrets to the Law of Attraction” as well as a ‘super’ coach/mentor and speaker. Jay Lakhani: There is an Abraham quote: If there is something that you desire and it is not coming to you, it always means the same thing. You are not a vibrational match to your own desire.” So how can you easily achieve a vibrational match? The easiest way is by thinking of it and from it. What happens for most people is they let other thoughts get in the way. It’s about thinking about something and by the attention to it (without resistance), letting it build; and it attracts more thoughts, and more thoughts, and then physical manifestation. Playing with thoughts is one way, eg “Wouldn’t it be lovely for me to be with the love of my life? How would it feel to drive the car I’d love to have? How would it be to live in the house I want? How will I decorate it?” And so on. It’s just many people get stuck on the “how to” and their beliefs about it being/not being possible, rather than being open to the possibilities and focusing on the envisioning and letting the Universe find the answers, commensurate with your vibration. Every thought has a vibration. 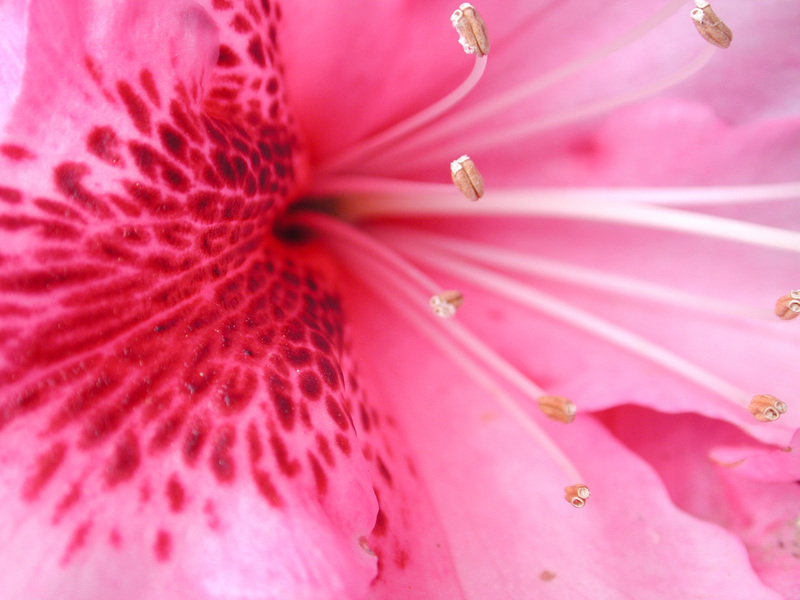 To be a vibrational match to something, have thoughts about it. Hi Hemal > Many thanks for the kind contribution, really appreciate your effort! Very nicely explained. Thanks again.